Persistent and disabling pain can have numerous and sometimes multiple causes. Among them are cancer; AIDS; sickle cell anaemia; multiple sclerosis; defects or injuries to the back, neck and spinal cord; arthritis and other rheumatic and degenerative hip, joint and connective tissue disorders; and severe burns. Pain is not a primary condition or injury, but rather a severe, frequently intolerable symptom that varies in frequency, duration, and severity according to the individual. 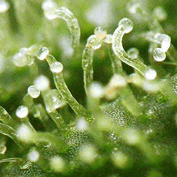 There have been various studies on the effect of cannabis on Pain and its related illnesses. Here at Seedsman, we offer a variety of strains that will assist people suffering with Pain in alleviating their symptoms.